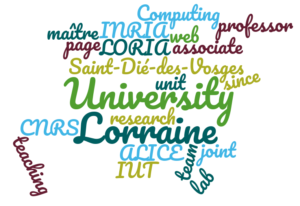 I am an associate professor (maître de conférences) in Computer Science since 2011 at the Univer sity of Lorraine. My teaching position is within the Departement of Computing of the IUT Saint-Dié-des-Vosges. 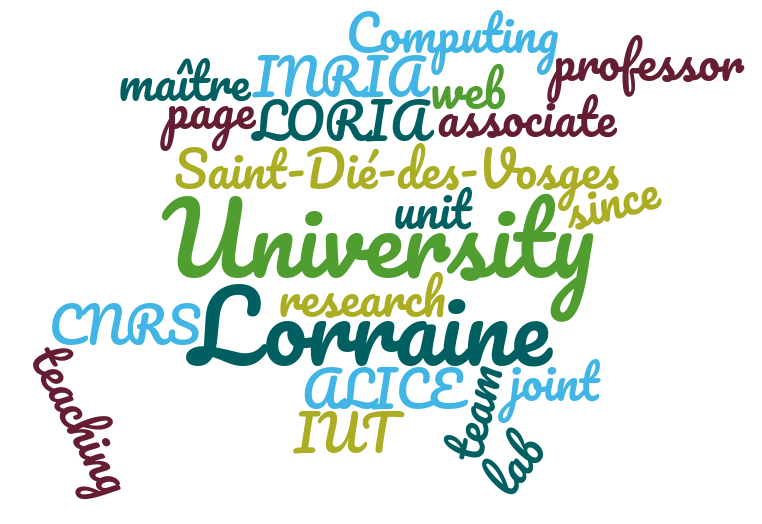 My research position is within the ALICE team of the LORIA lab, which is a joint unit of INRIA, CNRS and University of Lorraine.